A study in visual and written arts. 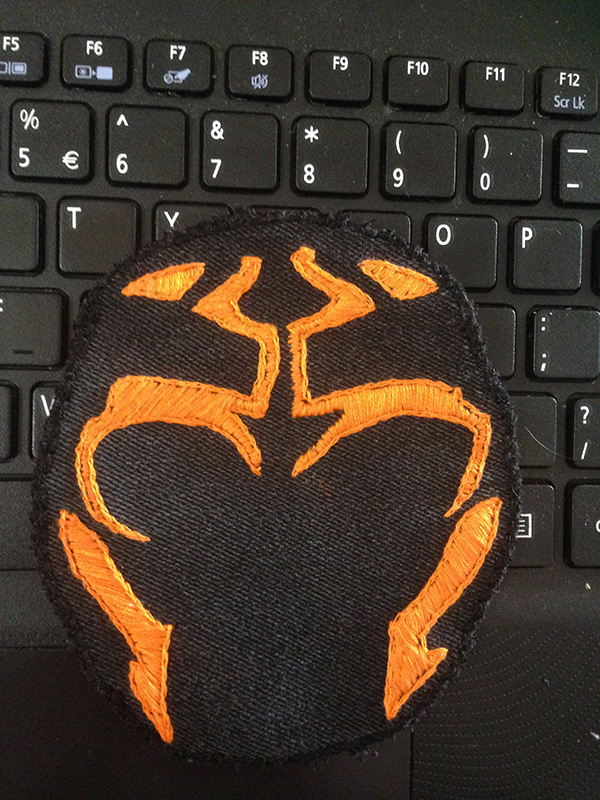 Patch of Ahsoka’s Togruta markings in orange (patch version 1). Worn by a friend to Star Wars Celebration Orlando 2017. 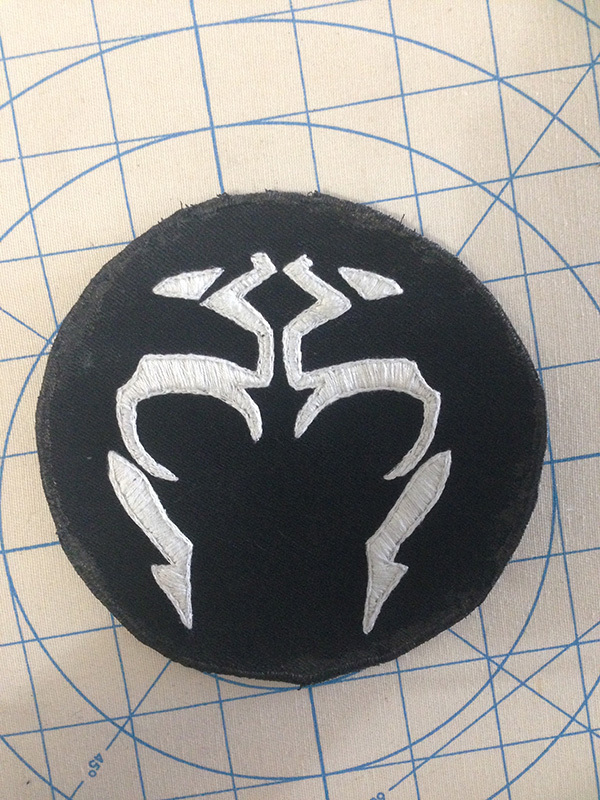 Patch of Ahsoka’s Togruta markings in white (patch version 2). Worn by me at Fanime 2017. Patch of Ahsoka’s Togruta markings in white (patch version 3). Created by request of a friend. 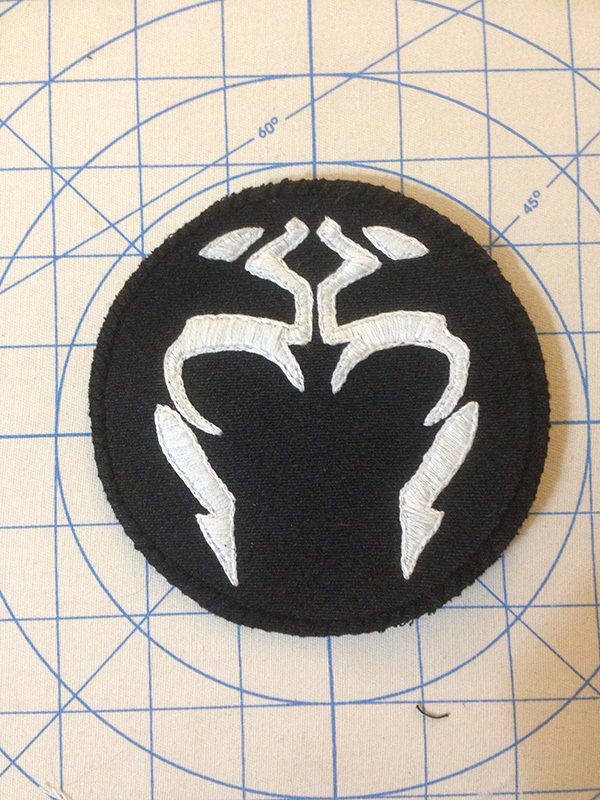 Sew-on patches featuring Ahsoka Tano’s Togruta markings as they appear in Star Wars Rebels. The first patch was created to be put on the jacket with Sabine’s Starbird for my friend to wear to Star Wars Celebration Orlando in 2017. Version two was created in white to place on my own jacket to wear at Fanime 2017. Version 3 was created at the request of a wonderful Ahsoka cosplayer I met at Fanime, and I couldn’t deny her request. Patches were created using black denim as the backing, and cotton embroidery thread. If you would like one of these patches for yourself, feel free to check out my Commission Information for your very own at reduced price!